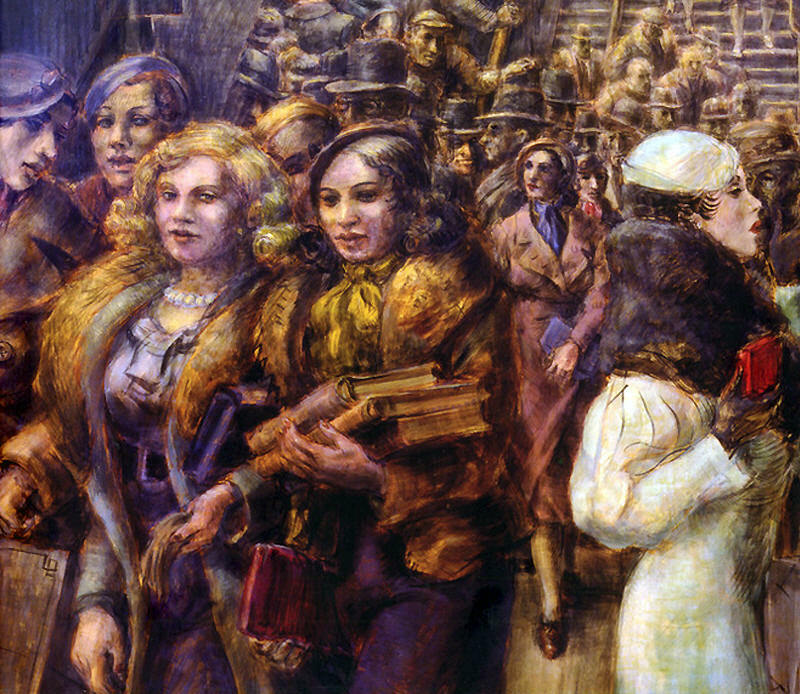 Reginald Marsh is one of the best known chroniclers of 1930s and 40s New York. It has been said that Marsh was to New York what Daumier was to Paris and Hogarth was to London. His paintings, drawings, and prints capture the aura and pace of the ever-changing city at a particularly exciting time in its history. This exhibition is the first major showing of Marsh’s work in New York in a decade. Marsh was fascinated with the seedier aspects of New York, and he was an obsessive explorer of the great metropolis. 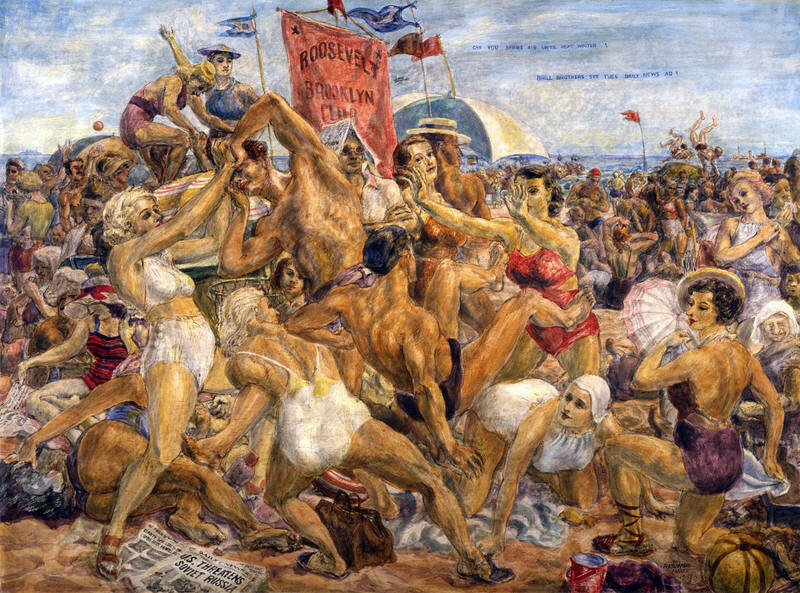 It was in places such as Coney Island, the burlesque parlors and dance halls of Fourteenth Street, the Bowery, the streets, and the subway that the Yale educated, financially comfortable Marsh found the subjects he was looking for -- Bowery bums, burlesque queens, musclemen, bathing beauties, and streetwalkers. Marsh returned repeatedly to his favorite locations, usually working on the spot with sketchbooks and taking photographs that were used as the source material for completed works back in his Fourteenth Street studio. The more subtle and complex psychological aspects of Marsh’s work have sometimes been neglected over the years. Many of his works display an unexpected separation of and contrast between his male and female subjects. Marsh’s notion of sexuality centers on exhibitionism and voyeurism. 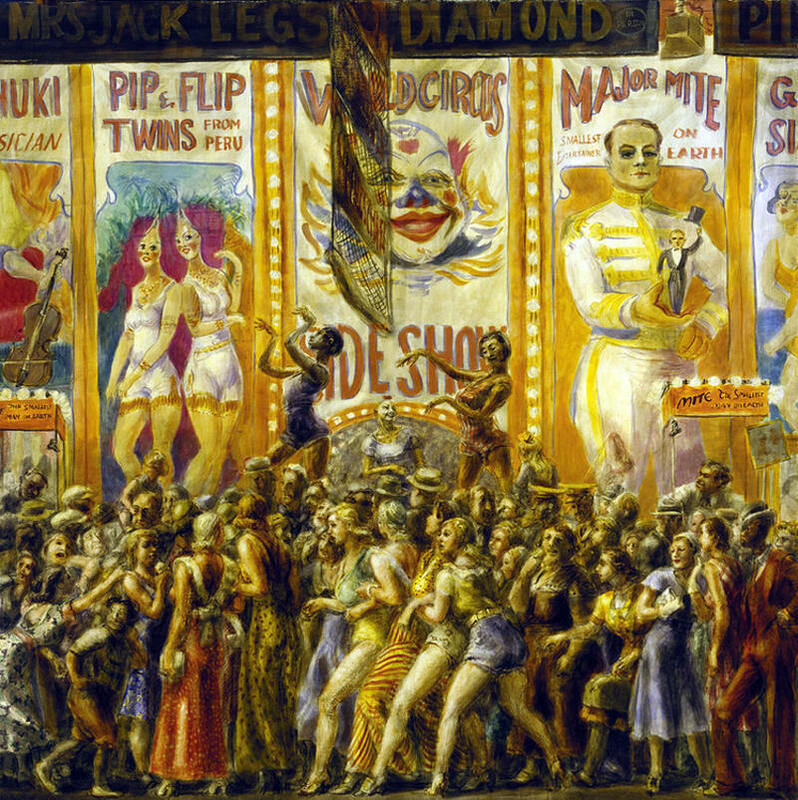 His men are frequently shown in the background watching the women, either in overtly voyeuristic settings such as burlesque halls, or in street scenes where they are strictly background figures to the bold women striding in the foreground. 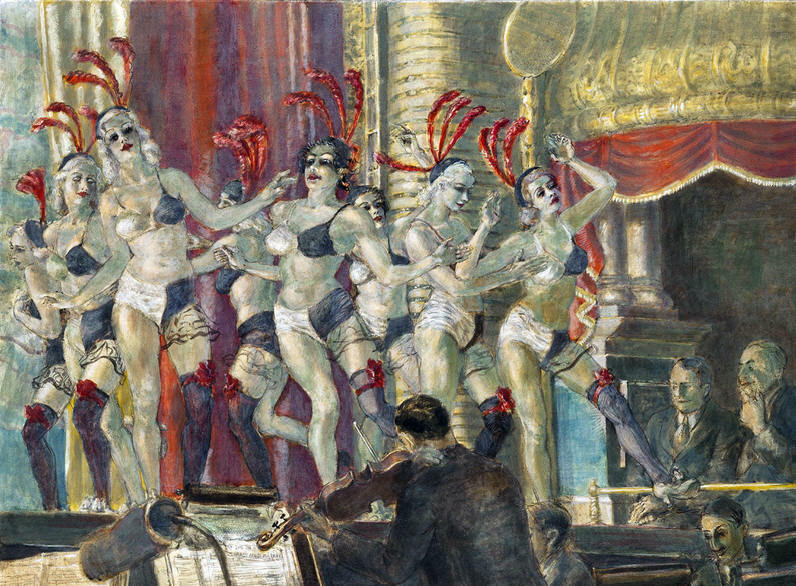 Many of Marsh’s women are portrayed in lurid poses and situations, but the artist never degrades them. 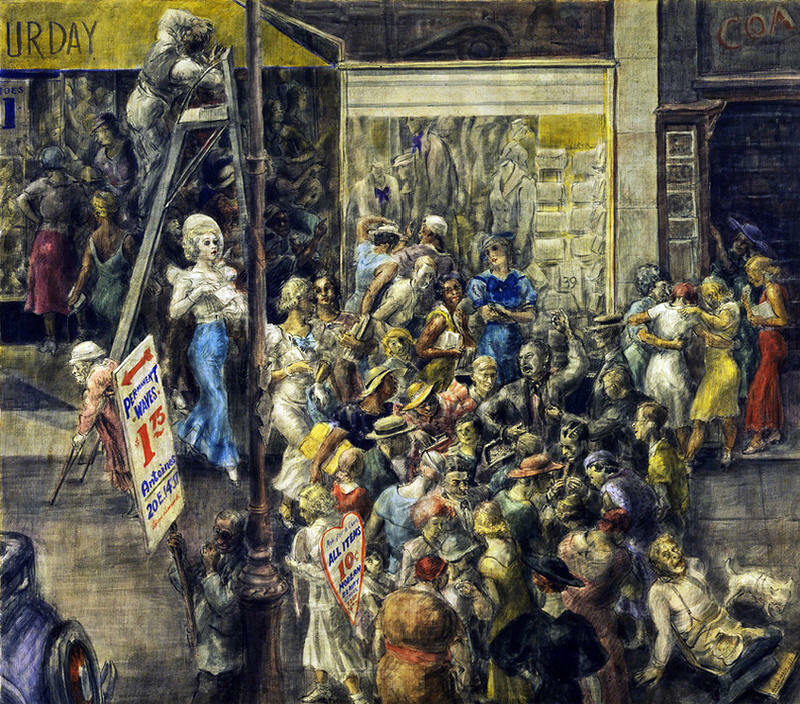 Reginald Marsh was born in Paris in 1898 to American parents who were both artists. Marsh’s grandfather had made money in the Chicago meat-packing business and the family was well-off. Marsh showed an early aptitude for drawing and produced illustrations throughout his school years. While at Yale, Marsh met William Benton, future Senator of Connecticut and founder of Benton & Bowles advertising agency, and Henry Luce, future founder of Life Magazine. The three became life-long friends. 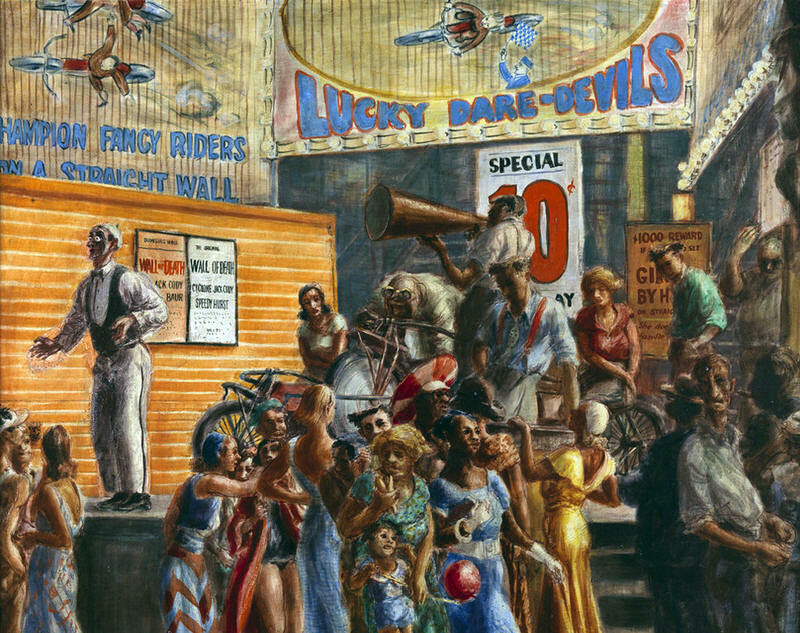 Marsh came to New York after graduation, and he quickly became a successful illustrator and political cartoonist. A trip to Paris in 1925 fueled Marsh’s initial interest in painting, and he studied with Kenneth Hayes Miller at the Art Students League. Miller emphasized the time-honored principles of narrative content, figure construction, and perspectival composition, and he was a major influence on Marsh. 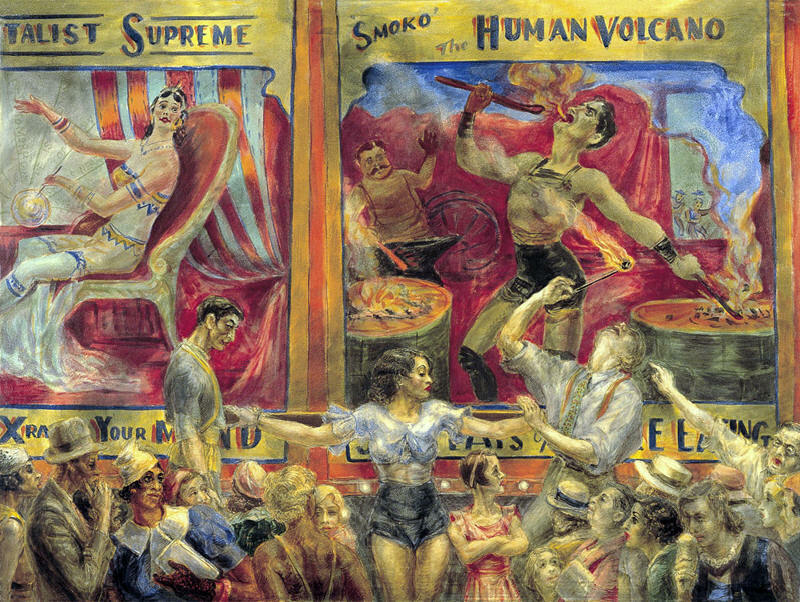 During the late 1920s, several one-man exhibitions were held of Marsh’s watercolors and lithographs. 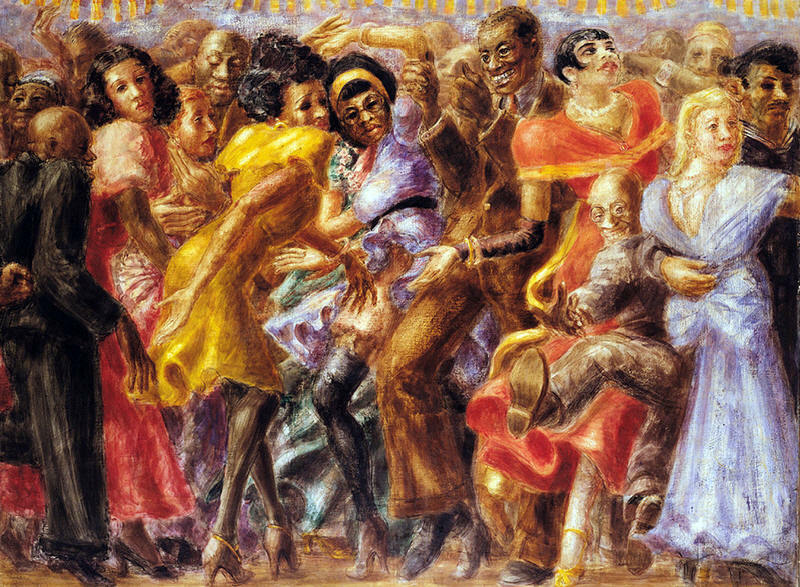 In 1929, Marsh rented a studio on Fourteenth Street, and it was over the next few years that his vision as a painter coalesced. 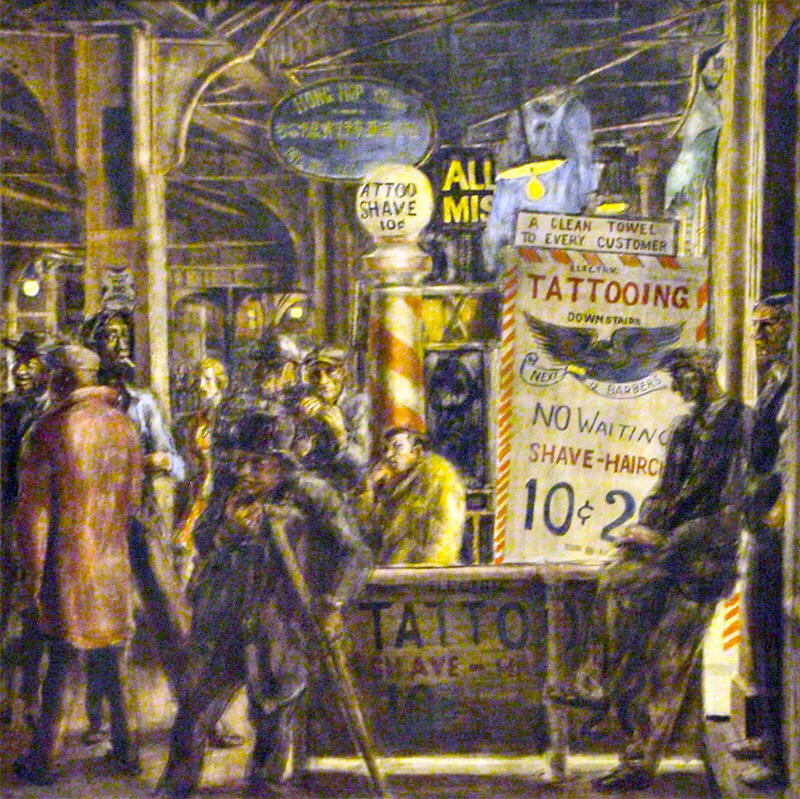 From 1931 on, Marsh was included in most major national exhibitions of American art and he was considered one of the top contemporary American artists. 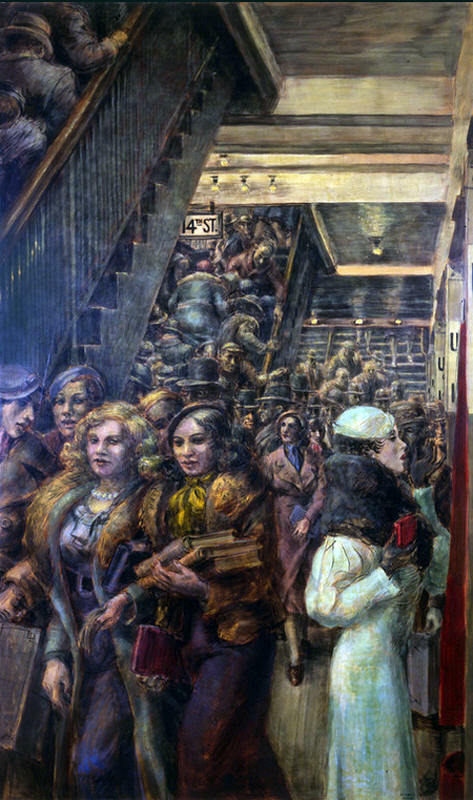 Fifteen one-man exhibitions of Marsh’s work were held at New York’s Frank K. M. Rehn Gallery between 1930 and 1953. One-man exhibitions of Marsh’s work have also been held at Yale University Art Gallery, Pittsburgh’s Carnegie Institute, and the Whitney Museum of American Art, among others. Marsh was also an influential teacher, first at the Art Students League and later at the Moore Institute of Art in Philadelphia. 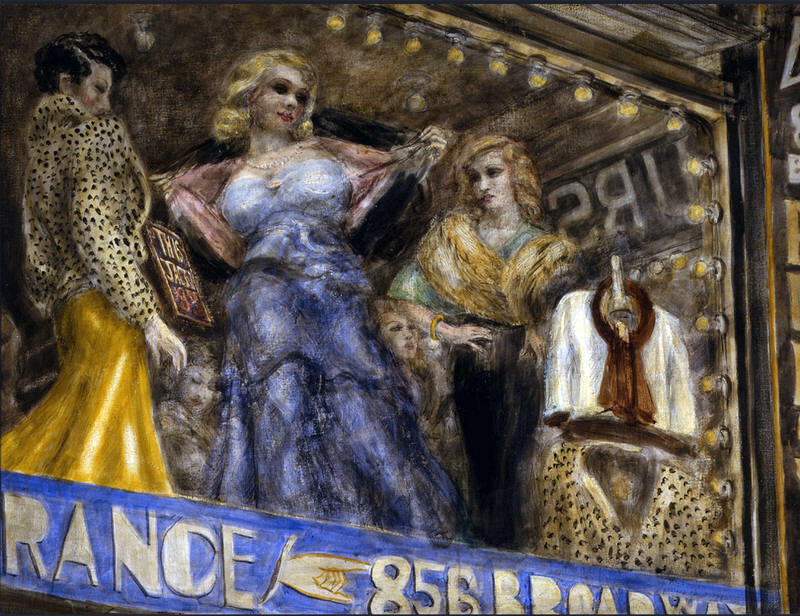 By the late 1940s, Reginald Marsh’s New York was fading away. 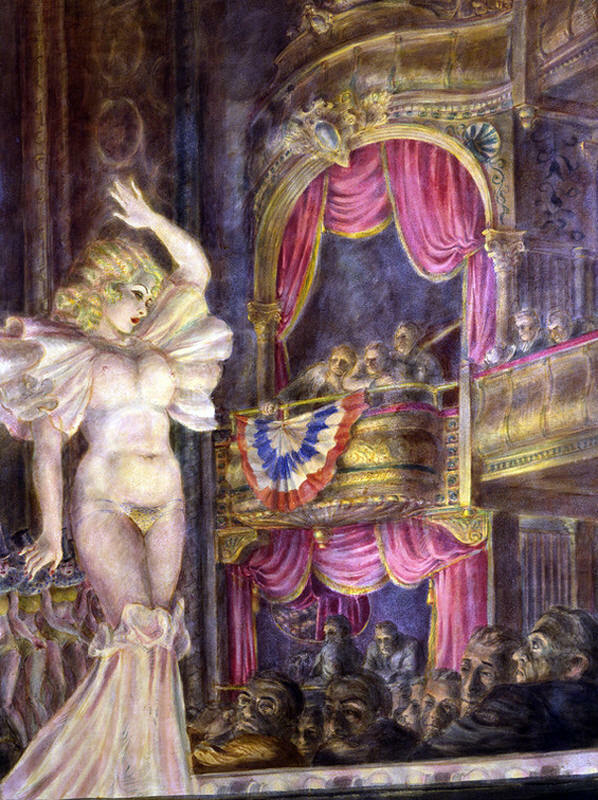 Mayor La Guardia was forcing the burlesque halls out of the city and the El was being dismantled. 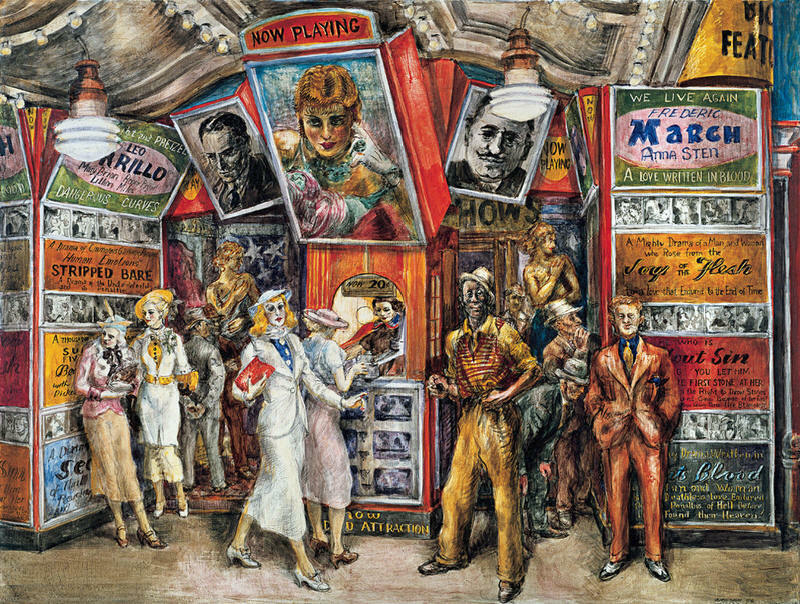 Even though the city was rapidly changing, Marsh continued to paint New York until his premature death in 1954. The paintings and other works on exhibition here offer a timeless glimpse into a world that has vanished forever.